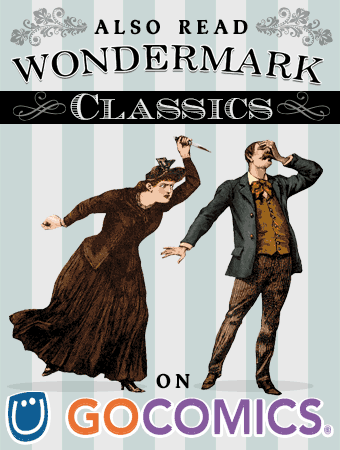 Wondermark » Archive » Wondermark in PREVIEWS, and a note on books! I stopped by the ol’ comic shop last week and flipped through PREVIEWS, the Diamond Distributors catalog where most comic shops get most of their comics and related merchandise. Which is great! 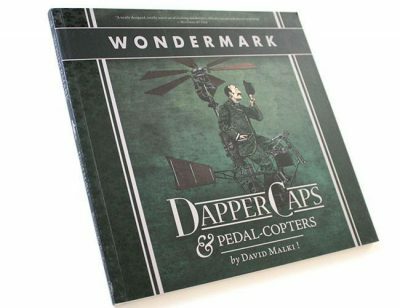 But still a bit surprising, considering that the specific Wondermark book being promoted there on page 24, Dapper Caps & Pedal-Copters, was released by Dark Horse Comics nearly eight years ago, everyone I know who worked there has since left the company, and I did not know they had copies left of the hardcover edition (I subsequently issued a paperback under my own imprint). 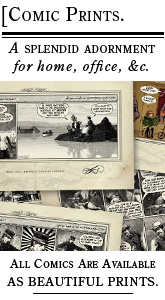 But apparently they do, and if you work at a comic shop, I encourage you to order Diamond item number DEC090040 and fill your shelves with Wondermark books and pitch them to everyone who enters your store! This is a good excuse to talk about books more generally. As longtime readers know, after self-publishing an early Wondermark collection in 2005, I put out three volumes with Dark Horse, in 2008–2010 (Dapper Caps was the third; it went on to win the PubWest Gold Award for design excellence, and I have a lovely medal to show for it). 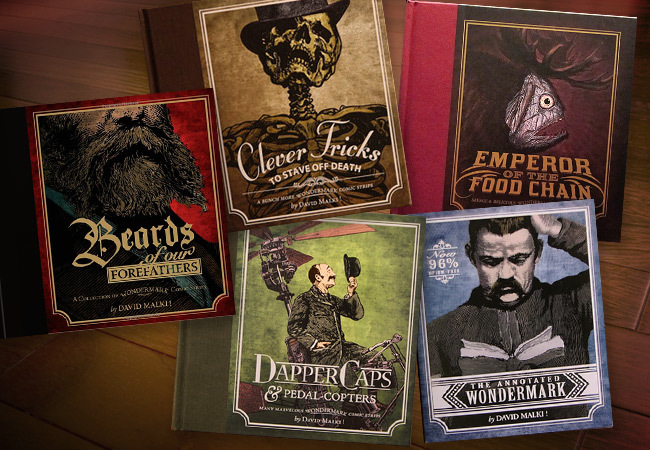 They are handsome books that seemed to perform okay for Dark Horse. 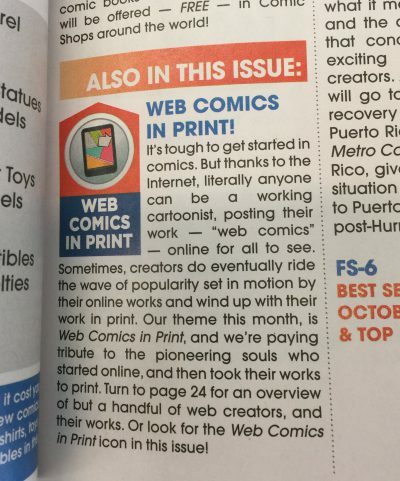 But they are a comics publisher, and a decade ago especially, comic strip collections (usually sold in bookstores in the humor section) being sold through a distributor that catered primarily to superhero-book stores did not find the largest audience. 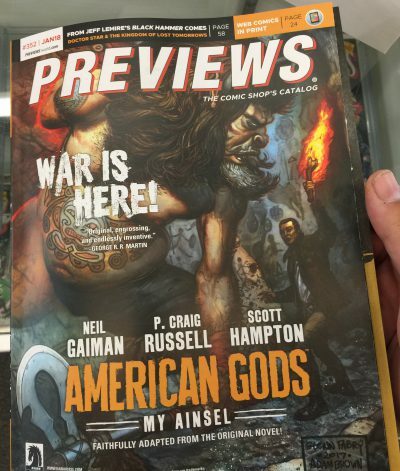 These days comics distribution reaches into more mainstream stores, and many comic shops stock all kinds of stuff, but a decade ago it was a bit tougher. 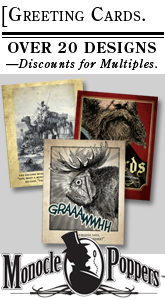 I also went on to do a fourth hardcover, this time with TopatoCo: Emperor of the Food Chain, which was never distributed through Diamond, but which I believe is now newly available to bookstores and other retailers through the Consortium catalog (ISBN-13: 978-1-936561-93-3). This is a very kind thing to ask, because it acknowledges that making and selling books can be a tough road, and if the person is going to spend basically the same amount of money no matter what, they might as well put that money where it will do the most good for the person they are trying to support! The answer, however, is complicated, and the answer may be different for every different author, or for authors who have different relationships with the book trade. Some authors are vigorous vendors of their own work; others prefer to leave the filthy lucre-mongery to the pros and concentrate on the writing part. 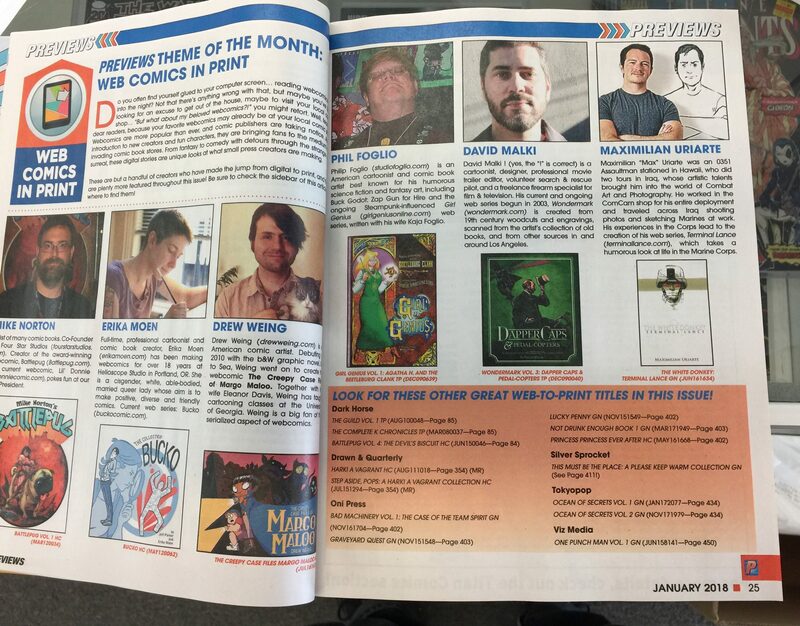 From the perspective of being a small publisher, I mostly want you to order directly from me, because all your money comes to me, and then I personally put the book in an envelope and mail it to you (or hand it over the table at a convention). However, you could also get it from my TopatoCo store, which is almost like getting it from me in that Jeffrey and the folks at TopatoCo only keep a small fee from the sale, plus while you’re there you might see other things you want to buy (from me or other artists on the site) — plus I don’t have to do anything, and can spend my time doing other useful things instead of putting a book into an envelope. That is a very acceptable choice. 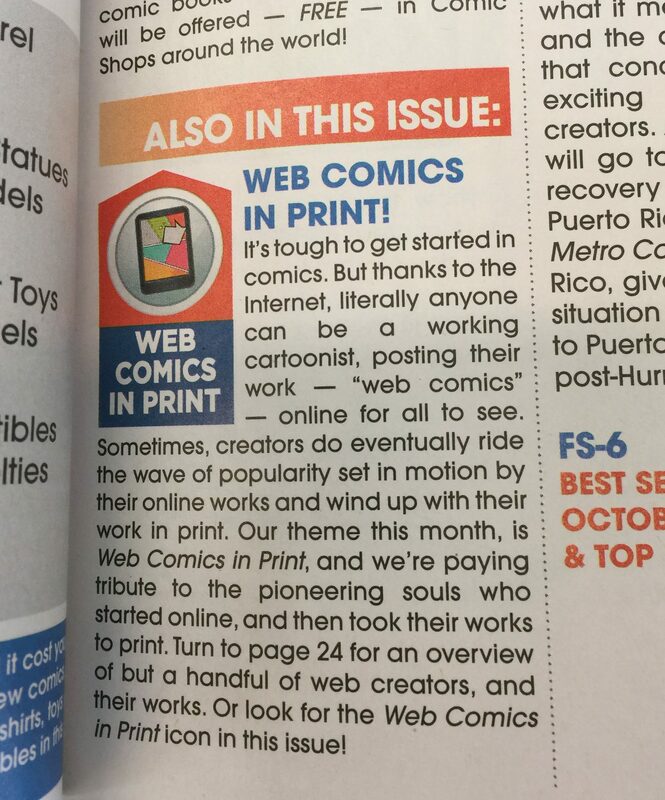 Or, you could patronize a local bookstore (or comic book store), if they happen to carry the volume you want, because that money goes to your local community and supports that business, and some of it gets back to me eventually. Supporting bookstores means supporting the places that are, ideally, in the aggregate, able to sell many more copies of a given book than I myself as one dude driving you to my website will ever be able to do. So buying a book from them props up that ecosystem. Or, you could order from Amazon, not because you have any particular need to support Amazon but because it will arrive quickly and cheaply and you can also get watch batteries and deodorant in the same order. It may help you enjoy the book more if you ended up saving a few bucks on the transaction. And keeping you solvent is good for me in the long run as well! Of course, if frugality is your main concern, you can also look on eBay or Abebooks for used copies. Sales of used copies don’t result in me getting any money, but it keeps the books circulating (rather than moldering away in a box or on a shelf or in a landfill somewhere) and also makes you feel like a TREASURE HUNTER. From my perspective as an author, I am happy if you get a book and enjoy it no matter where you get it from. Giving me your money directly is great, but supporting the institutions that support me and other authors is also a virtue. Of course, stocking 100 copies in your store and upselling every customer you serve would be best of all. Even moreso if you don’t work in a bookstore. I bet Dapper Caps would sell exceptionally well in a haberdashery. 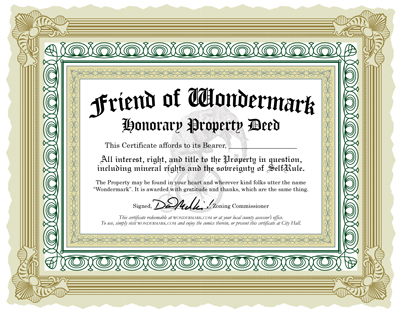 This entry was posted on Tuesday, January 30th, 2018 at 3:07 am and is filed under Blog. You can follow any responses to this entry through the RSS 2.0 feed. Both comments and pings are currently closed.